Hi everyone, Cindy Brown here! Today as inspiration I decided to do a mixed media caves for you. Sweet Violet Purple Teal with clear gesso. 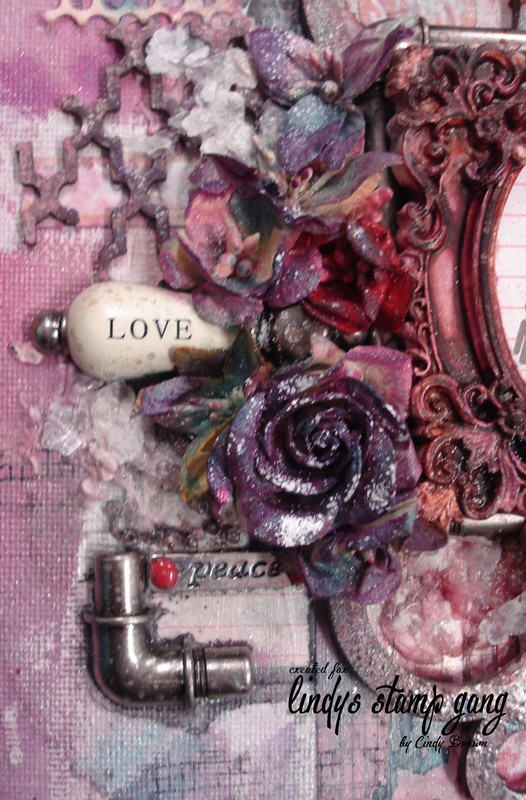 I love the layers of products on my creations, and you can see that in this piece nicely. 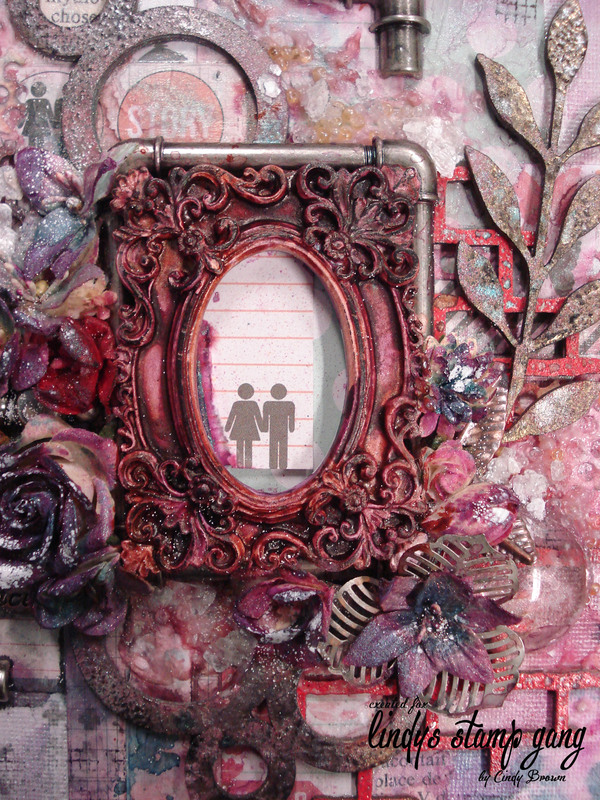 I enjoy adding layers of paper, metal embellishments, and resins. It just makes the project more interesting and adds a ton of dimension. I hope you enjoyed this piece and join the Color Challenge this month! You could win a $50 gift certificate to the store and get some yummy Lindy’s all for yourself! Remember to go my blog to see my other creations, as well as my channel where I upload videos regularly. Really beautiful!! The texture is Amazing! !